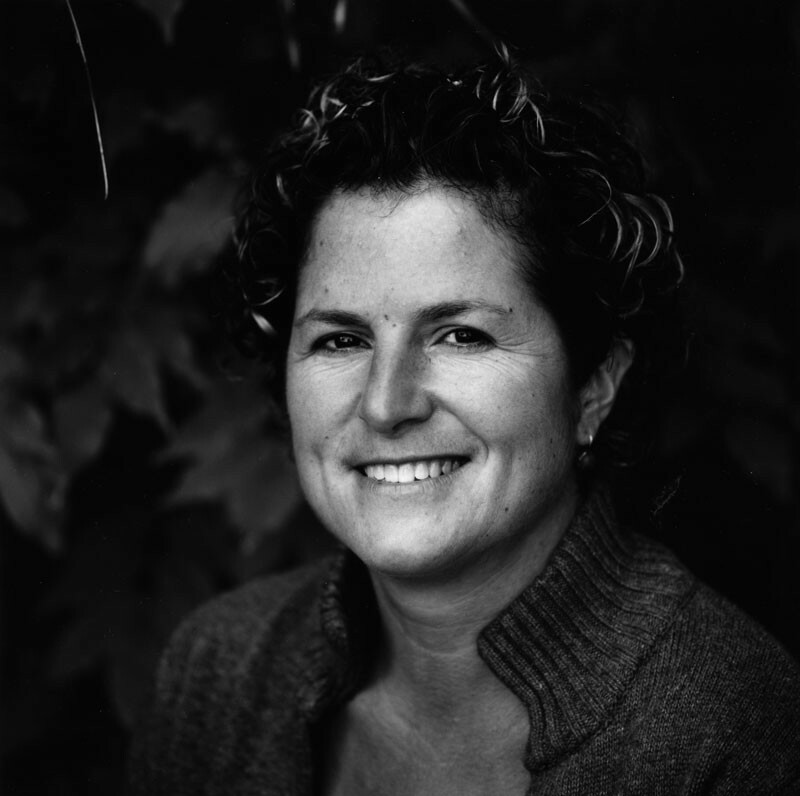 A letter to our guests from Susan Gelpke-Doran. My husband, Wendel, told me the first time he showed me the hills of Corzano and Paterno that there was not a bit of earth that I could see that was not soaked in blood and brittle with bones. It stunned me then, as I believed myself to be looking at the sweet, poetic landscape that had inspired Leonardo and Michelangelo and so many other renaissance artists, and of course it is that too. But in truth the landscape has been scarred and grooved and bent to man’s will for centuries of its bellicose history. The Etruscans, early lords of this area, had lived in harmony with their surroundings until the Romans imposed their cultural hegemony. Rome tried to eradicate or at least to suppress the Etruscan culture, and eventually succeeded. In the surrounding area there ara many traces of their presence, places where the locals believe Etruscan tombs to be, some certain, some credible and some legend. There is one such structure just down the hill under Corzano, beside the vineyard. However, the Roman presence made itself felt in highly organized civic structures. The famous Via Cassia, locally called La Strada Romana, runs from Rome to Siena and then to Florence and passes by the bottom of the hill beneath Corzano. Sometimes I can imagine I hear the tread of sandaled troops marching down the stone roads to their encampments. Much of their work was undone by the periodic rampaging of the northern tribes in the Middle Ages; the Lombards and the Goths added more blood to the ravaged earth. The continued aggressions of the Guelphi and Ghibellini in the 13th and 14th centuries left castles razed and villages destroyed back and forth and back again across the stretch of country between Florence and Siena. On or near the site of Corzano stood the legendary castle of the Cavalcanti, destroyed after the battle of Montaperti in which the Ghibellini triumphed. In rancor and revenge the castle was destroyed in such a manner that it would “never be possible that it would rise again”. Such revenge was absolute. In this endless antagonism between Guelphi and Ghibellini the local warlords resorted to mercenaries to fight their battles insuring that pillage and destruction were complete. But, with the exception of some like Montecalvi, the castles and fortresses sprang up to fight again re-emphasizing the justice of their causes and the honor of their families. 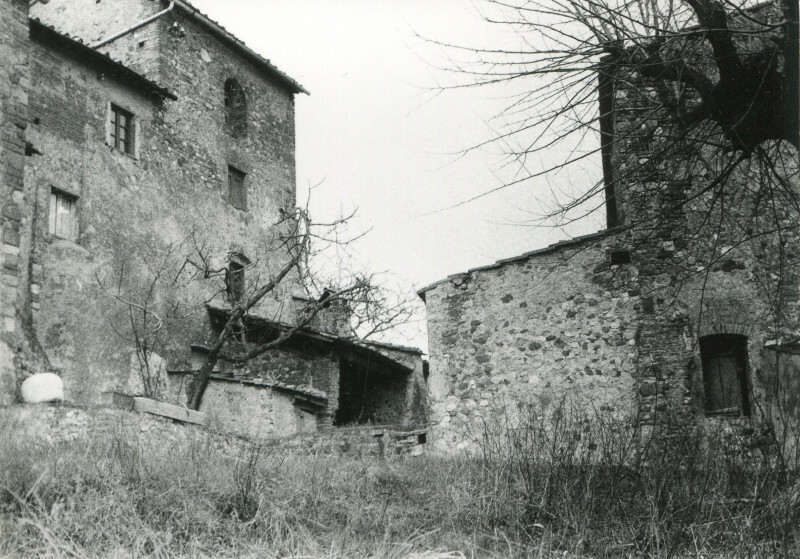 During World War II, the Front passed through San Casciano heavily damaging the town. 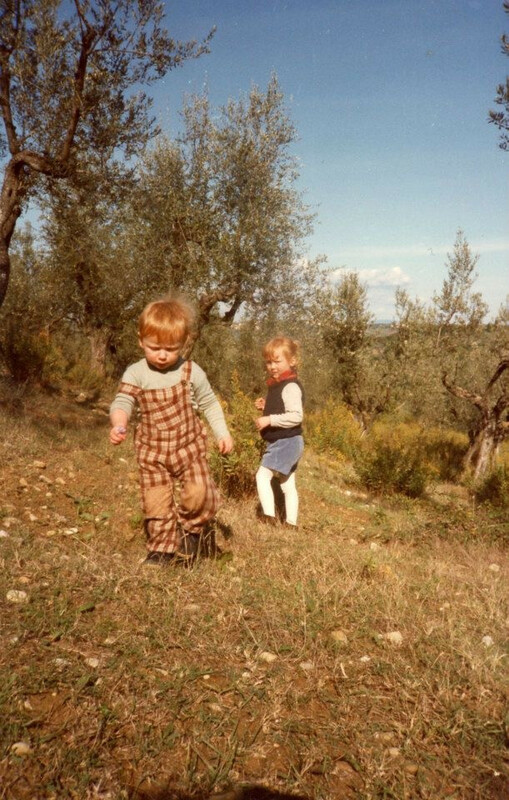 My daughter was six when she found an antique breastplate of some long forgotten soldier buried in the fields near Corzano, silent witness to the brutal battles waged on land now graced with elegant cypress rows and lush vineyards, ageless villas and restored farmhouses. 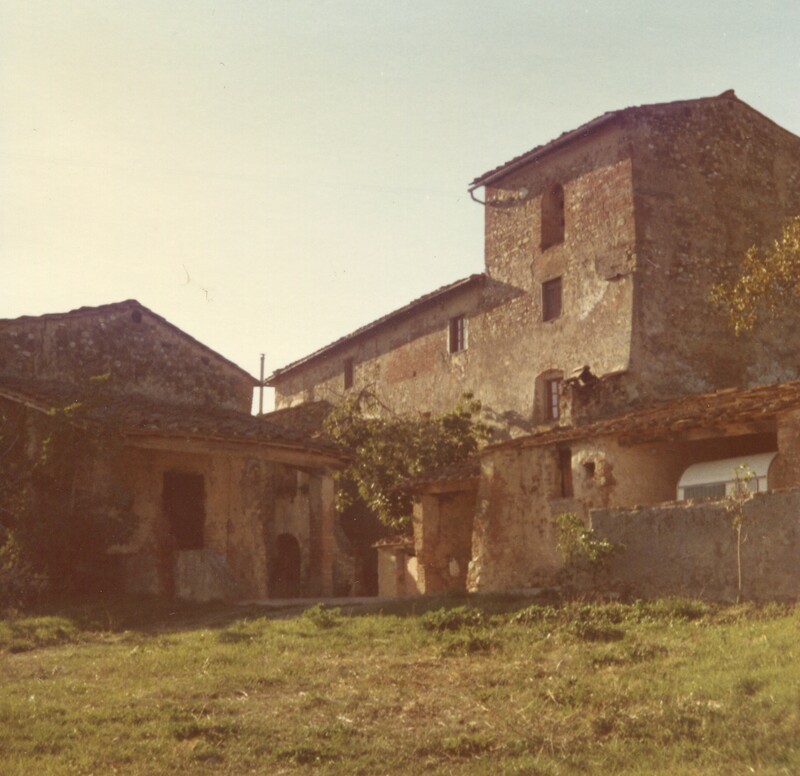 When I first came to San Casciano in 1978 there were still signs of those terrible times and only in recent years have the works of restoration brought so much picturesque charm to the town. It is not false charm either: San Casciano has always been a retreat from the hectic pace of Florence and is known for its fresher air not only today, but particularly during the malaria, cholera and plague savaged years. Machiavelli enjoyed looking at the cupola of the basilica of Florence from his house just outside the town. It has long been the place for a Sunday afternoon passeggiata. Yes, I think that this is what impressed me most when I first came to Corzano; the landscape that through such terrible and tragic experiences has softened to such sweetness and strength. There is a harmony among such divergent shapes as the olive tree, the cypress, and the grids of vineyards stretching across the hills and weaving a pattern that settles into a tranquil equilibrium. The famous Tuscan light and shadow, chiaroscuro, seem to create with each new hour a succession of different landscapes. 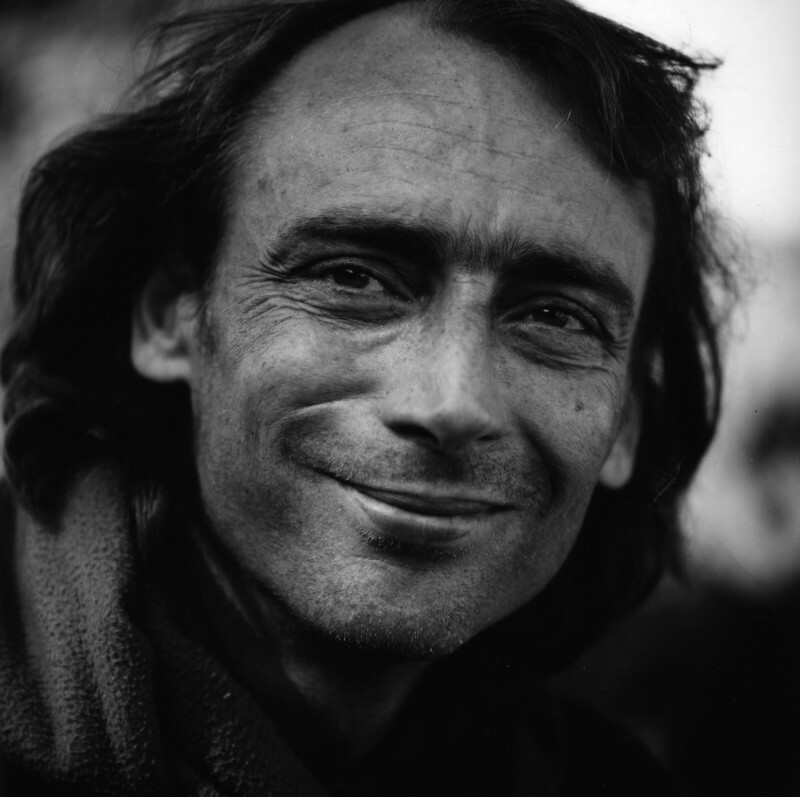 Wendel, born in Basel in 1932, took his first degree at the Sorbonne in ethnology and anthropology. He then did further research in Germany and finally concluded his architectural studies at the ETA in Zurich. In Switzerland, France and Iran he specialized in the conception of refined and ultra-modern structures of concrete and steel. Yet, when he settled in Florence in 1969, he chose as his home a formidable but dilapidated Renaissance villa once belonging to the Medici and began his retired life of study and writing. It was not to last long. 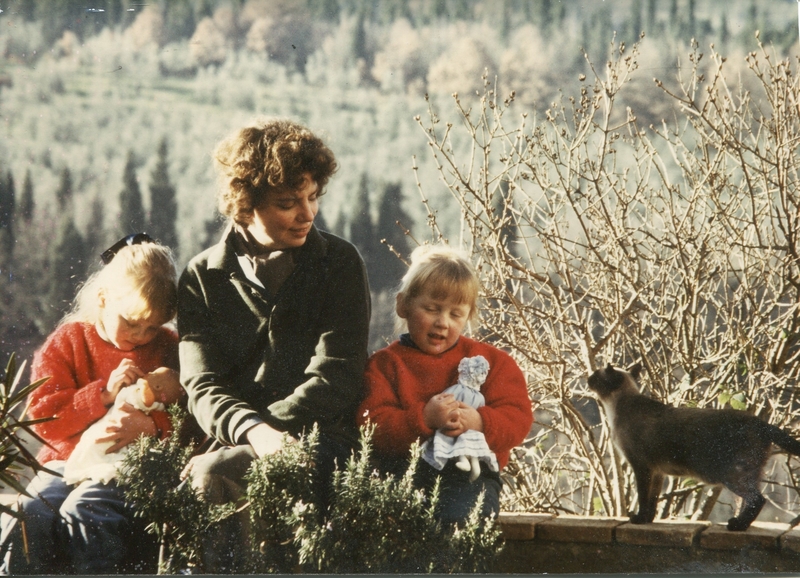 A friend, Marchese Ippolito Niccolini, of an old noble Florentine family, brought Wendel to San Casciano to see the farm that the Count was forced to sell to satisfy the family’s many heirs. The land had been in his family for centuries and the profit from the farm had gone towards the dowry of the Niccolini daughters. Wendel was so captivated by the wild beauty of the place that, inspired by the moment, he offered to buy the farm himself and spare it from division at the hands of a speculator. He promised that the estate would remain intact. Marchese Niccolini accepted and Wendel found himself a farmer. 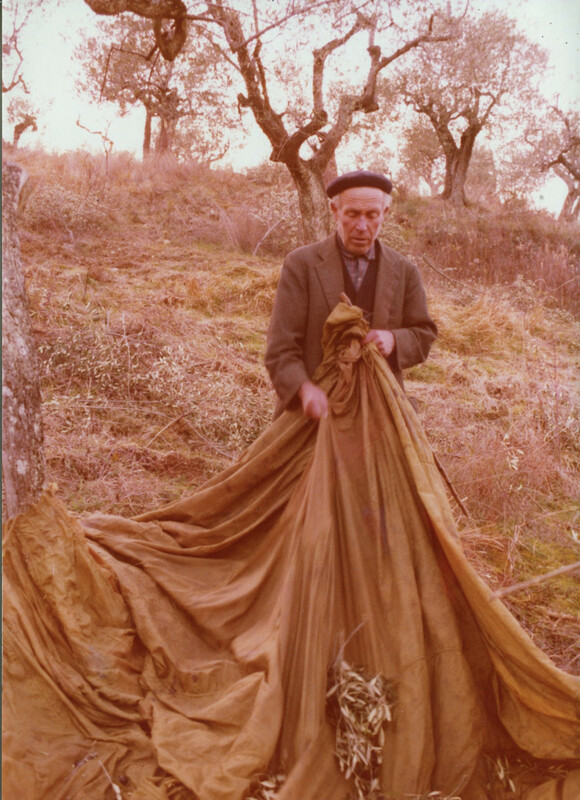 Corzano was a seventy hectare farm run in the most rudimentary of styles. There was no modern machinery and the houses were without running water, electricity or heating. The few wizened farm workers labored with white oxen in the fields and with the sparse vines and olive trees still in production. The long task of reclaiming the land from decades of neglect began. The countryside had been abandoned by the farming population for more lucrative and less backbreaking work in the cities. 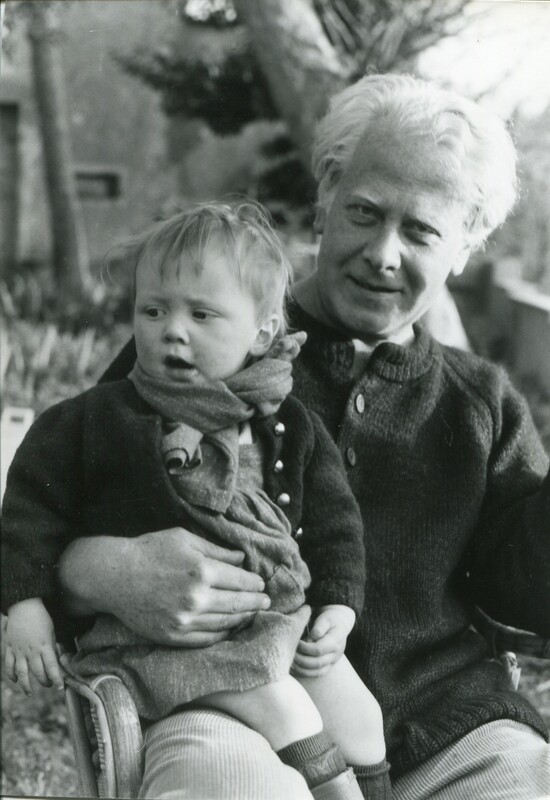 Wendel came with his seven year old son, Till, his nephew, Aljoscha and Till’s beloved white sheep dog, Sascha. 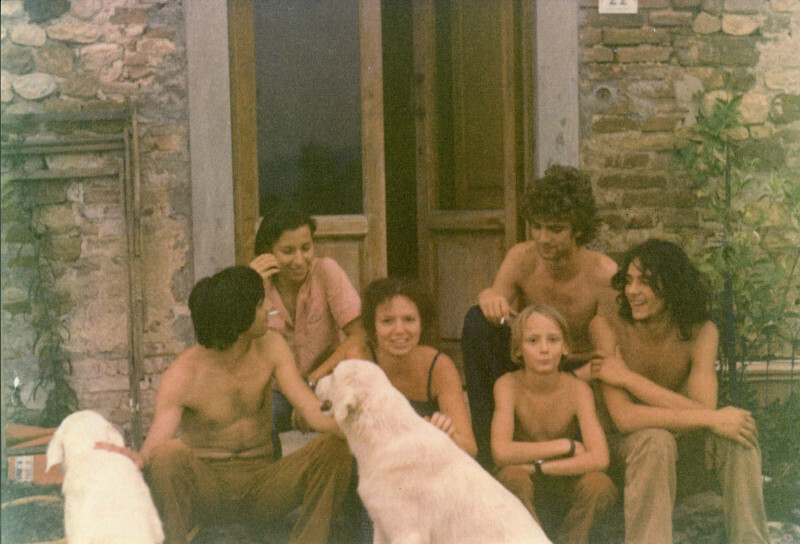 Joschi, then 17, had lived with Wendel in Florence in order to attend school. His mother, Wendel’s sister, had moved from their home in Holland to one of the houses on the farm. These were particularly exciting times of clearing the land and learning traditional farming methods. There were many visitors curious about how a Swiss architect would go about reclaiming a derelict Tuscan wine farm and many young friends of the family joined the adventure for shorter and longer periods. And Wendel planted vineyards. I can remember him telling me about many of the old methods and one of the works that sounded particularly arduous was the digging of trenches in the rocky slopes and then filling them with stones to keep the earth sufficiently drained. I could envision the old farmers under a relentless summer sun chipping away at the stony earth to scratch long trenches in preparation for the time when the rains would come. Wendel had been told that grazing sheep was one of the best methods of clearing the derelict fields. He asked a Sardinian shepherd to organize the purchase of fifty or so milk sheep. The seller graciously added an ancient donkey. Since the sheep had to be milked, two young Swiss boys, visiting for a few months, were hastily recruited to learn the technique. 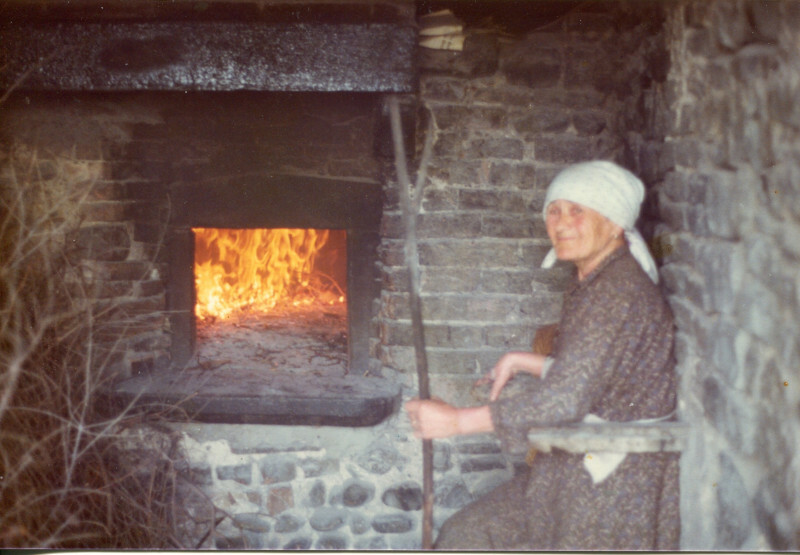 Wendel then made his first attempts at cheese production on a vat hung above the fire in Corzano’s kitchen. Local legend has it that he made the best Pecorino that could be remembered. 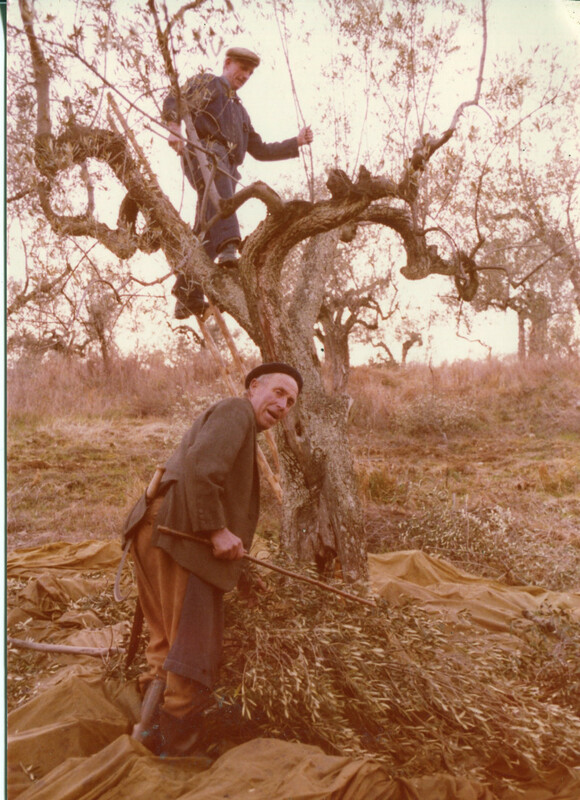 By now, Wendel’s eldest son Wenzel returned from school in England and he joined in the farm work which then consisted of caring for the vineyards, harvesting, olive picking, shepherding, milking by hand and hay making. 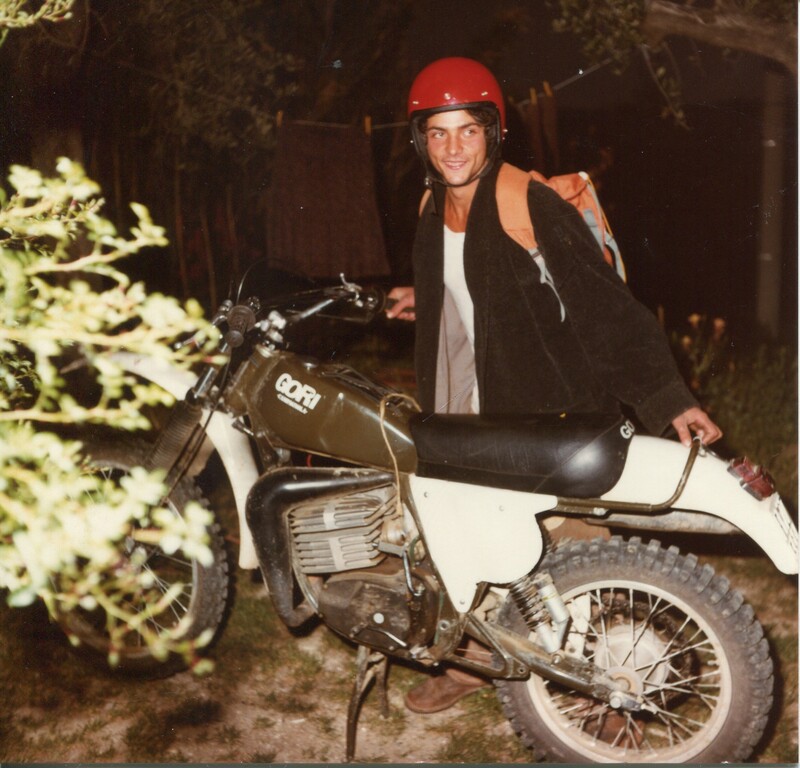 Tillo was home schooled by Wendel, and spent his time when not with the sheep rampaging through the fields and woods on his cross country motorcycle, extolling to the sheep in a part Tuscan part Sardinian vocabulary. 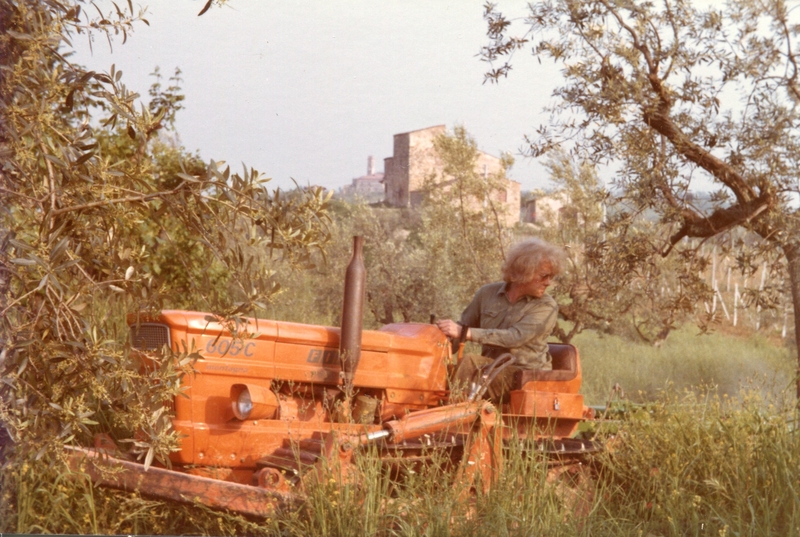 In 1975 Wendel set his heart on the adjacent property, La Fattoria di Paterno, also having seventy hectares of land. It had local fame as a garden due to its abundant water supply. Wendel was able to convince the Marchesa Rangoni-Machiavelli, who was very reluctant to give it up, that once again he would guarantee that the property would not be divided under his ownership. This fact finally convinced her, after long soul searching, to part with her much loved and much coveted estate. 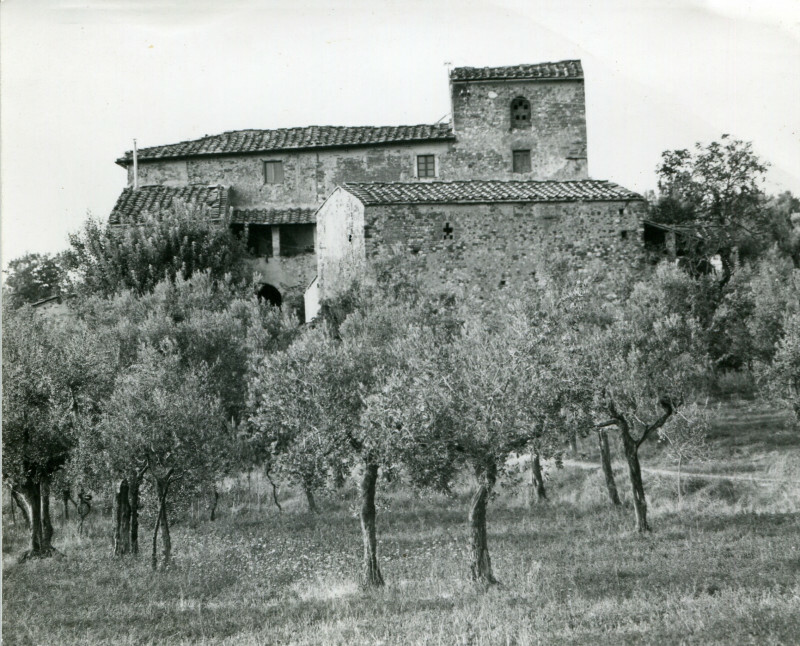 The Fattoria di Paterno had been in the Machiavelli family for generations. 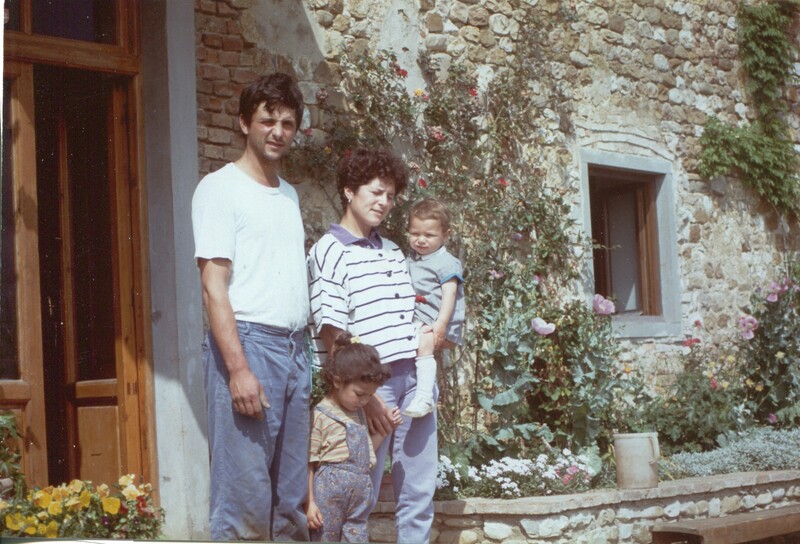 Historically the family is from Montespertoli, a neighboring town. With the rise in wealth and prestige family, the Machiavelli acquired various properties in the area including the fortified castle, Bibbione, across the valley from Corzano. The central tower of the Villa di Paterno was first mentioned in 900 as being owned by the Pitti family. In the 15th century it was sold when the construction of the Palazzo Pitti in Florence put a heavy burden on their family’s finances. Over the centuries the building has undergone many transformations that are evident in the central courtyard. Wendel removed the plaster to reveal its architectonic evolution. Of particular interest are the octagonal pillars, probably from the 1200's which undoubtedly formed part of a terraced area which is now the garage. 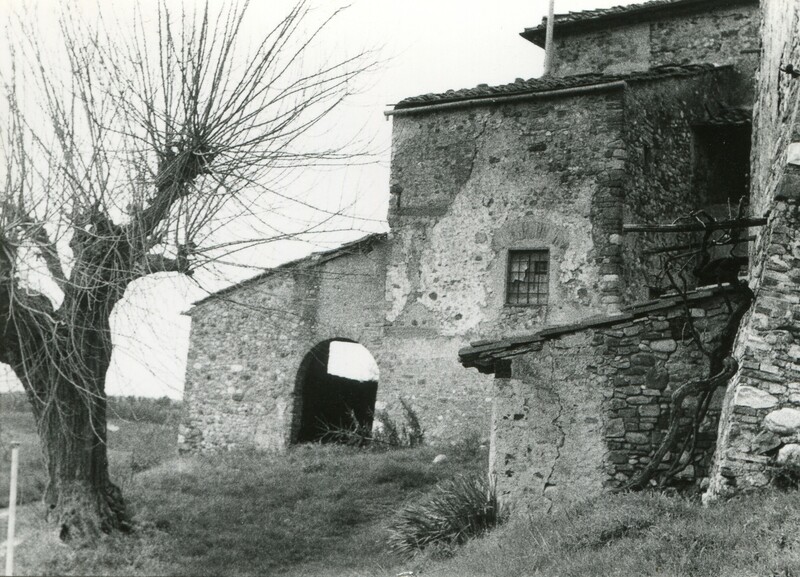 The Fattoria (farm) was a typical example of the Tuscan farming system. The mezzadria system consisted of a “casa padronale”, that is a manor house or villa surrounded by houses for the farming families. Each family would have a designated acreage. The system operated like the system of share farmers today. The word “mezzadria” implies that the profits are shared half-half. The farm owner would supply the building and the mechanical assistance to perform the farm works and the farmer, the labor. The farmer’s position in this system was hereditary. The system was deemed unfair and was prohibited after World War II. 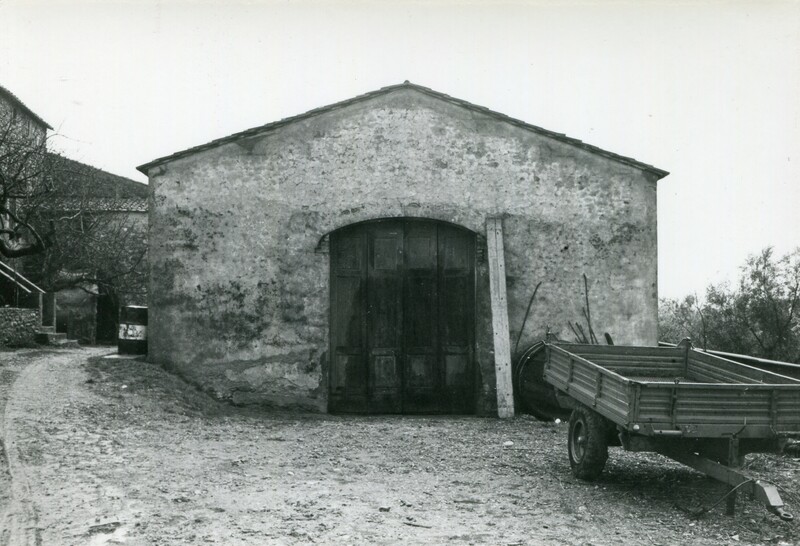 Today the stables and the dairy form the principle components of this part of the farm. The early works on the farm were done with traditional methods. 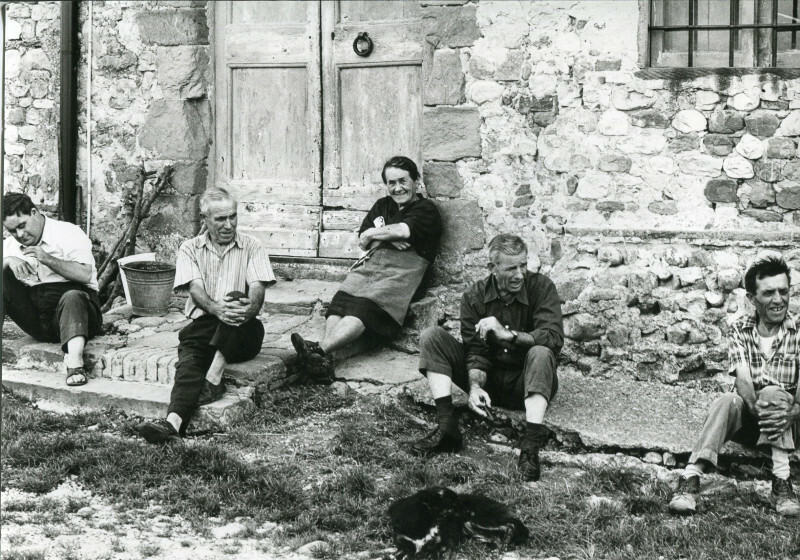 Wenzel, Tillo and Aljoscha, with the help of my five and six year old daughters, milked the sheep by hand and only later, when the stables were constructed was the milking machine introduced. Aiming for self sufficiency, Wendel insisted on building the stable and a small cheese producing facility. 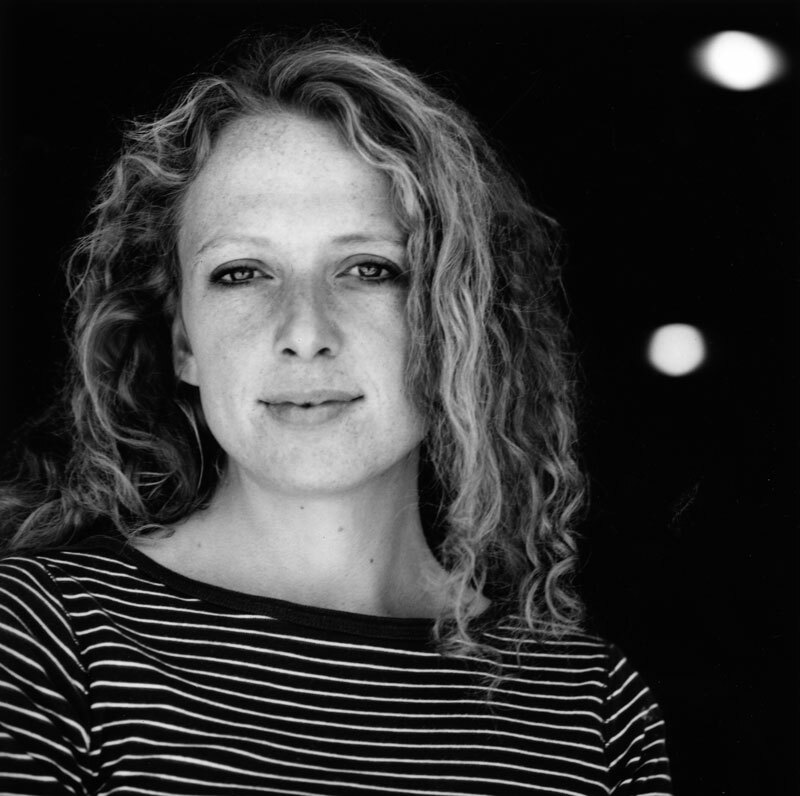 Today, Antonia, Aljoscha’s wife, makes the much sought after cheeses from our sheep milk. 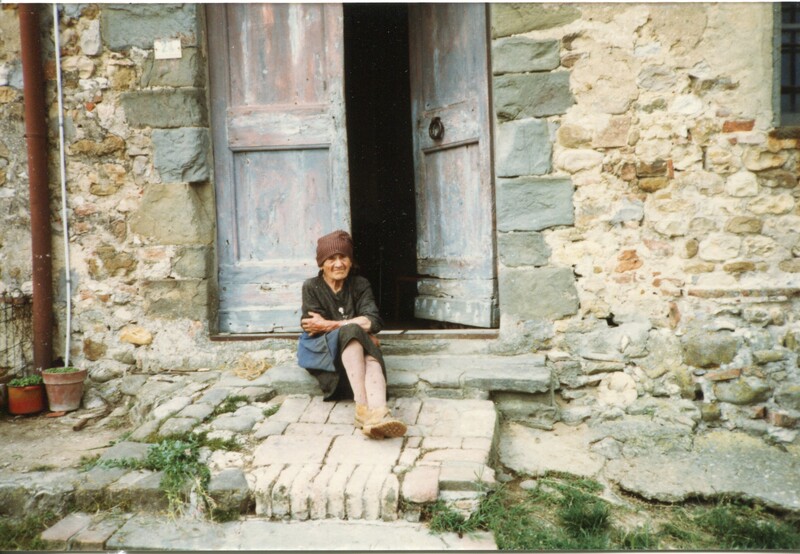 Antonia, half English and half Italian, first came to visit us at the age of fifteen, met Aljoscha and stayed. They now have five children. At the beginning we sold our milk to nearby cheese makers but Wendel insisted that we construct a small dairy and begin our own production. Antonia, in addition to raising five children, has immersed herself in every aspect of cheese making. 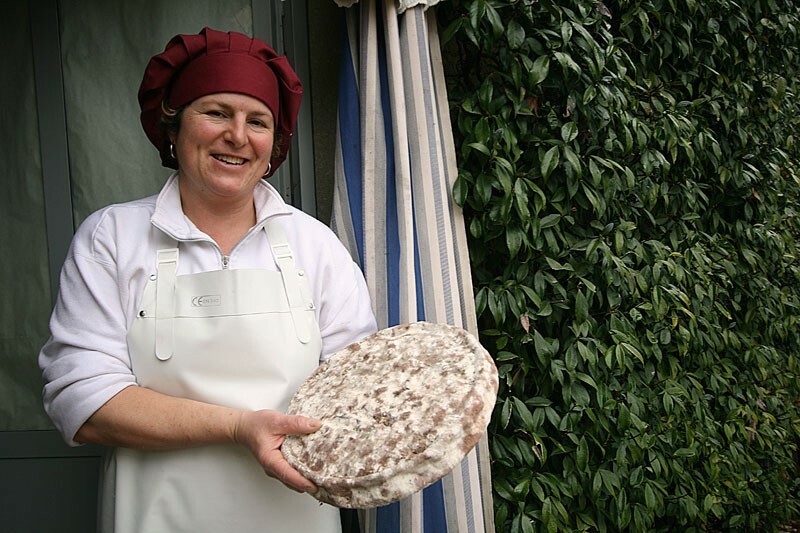 First, she apprenticed herself locally to observe the making of the traditional Pecorino cheese and then, when our own dairy was finally functioning, she developed a variety of original sheep cheeses which enjoy an international recognition for innovation and excellence. Tillo manages the work with the sheep and at the stables and he represents the farm at fairs and expositions often appeaings on television and in periodicals describing and promoting our cheeses. Through his knowledge of the back streets of Florence he has managed to introduce our cheeses into the best restaurants of the city. Till, his border collie Buia, have a notoriety all their own. Till has the latest little Gelpkes in the form of his daughters Tosca and Nada who following him everywhere that his work at the stables and with the sheep leads him. The vineyards were Wendel and Aljoscha's particular concern. After the initial planting of six hectares and the first awkward attempts at winemaking a more refined and finally a high quality wine was produced. 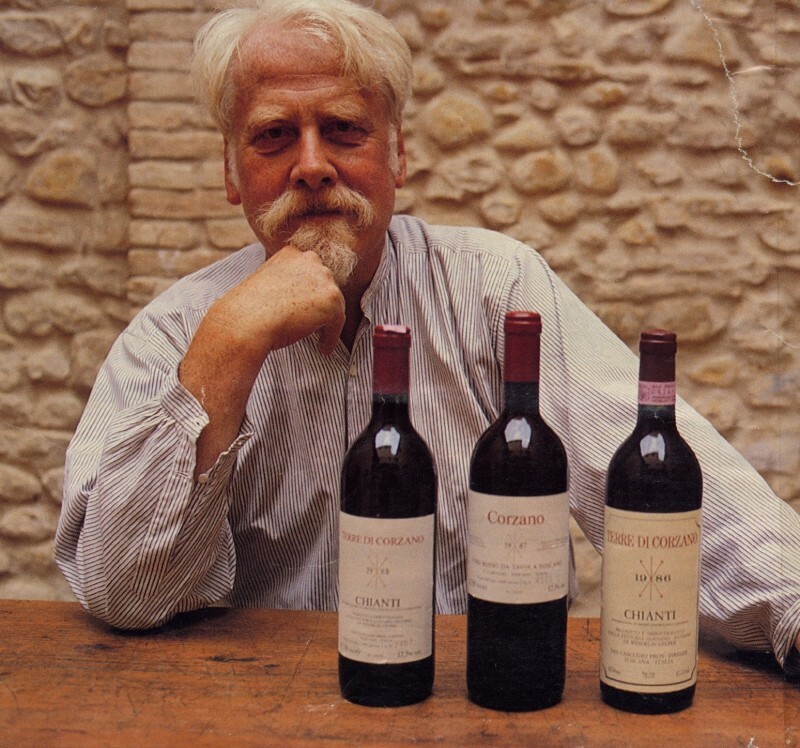 Aljoscha is responsible for bringing the wine to its current status as one of Chianti's finest wines. In addition, he is the administrator and general manager of the farm work, while also being the agronomer and wine maker. I was born near Boston and after university lived in Rome for some years and then in New York. 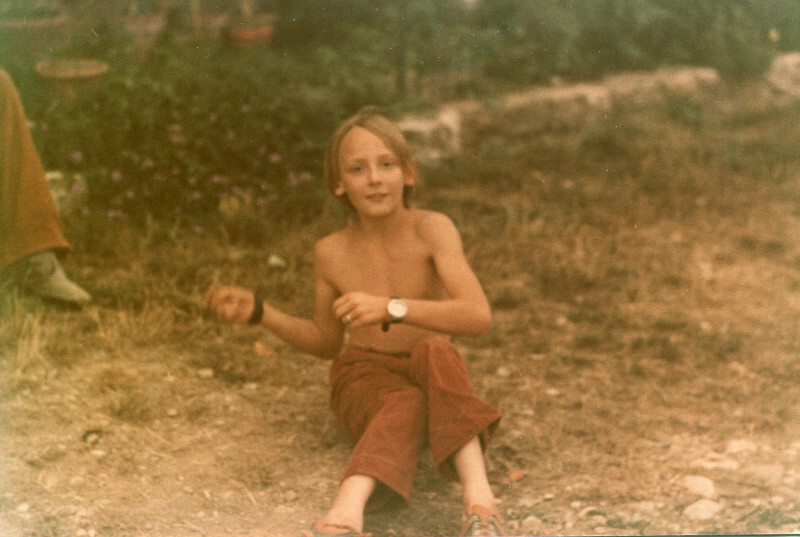 In 1977 on a business trip, I met Wendel in Heathrow Airport and a few weeks later I joined him here on the farm. 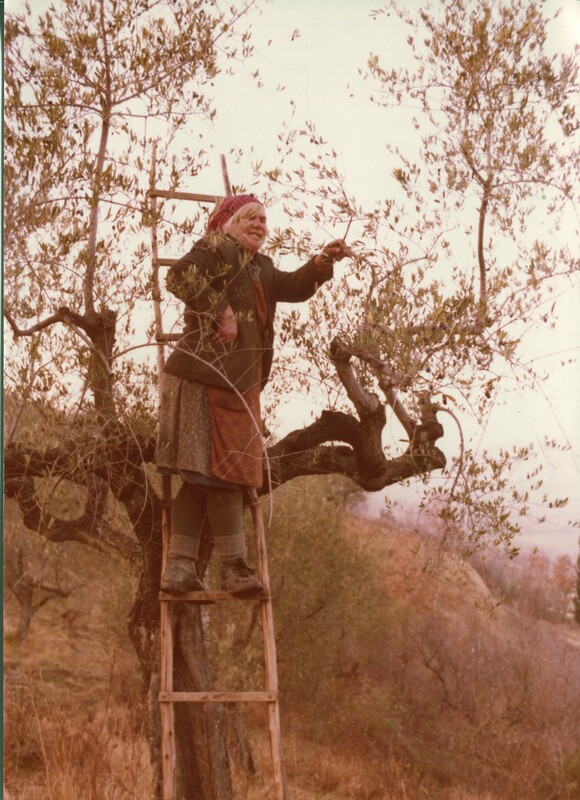 From an art historian I had become a farmer’s wife with the same happenstance that had brought so much to the creation of Corzano and Paterno. I can say now that it was as if I had turned back the clock and had entered the time of Manzoni or Thomas Hardy or Stendhal. The estate seemed under an enchantment, a romantic ruin. So many of my certainties about modern life had to be reevaluated and more timeless lessons learned. We started from the basics to find the essential worth of things—work, food, relations with the animals that feed us and give us their milk and simple human relations, especially with the locals. It took some time to be accepted by them. 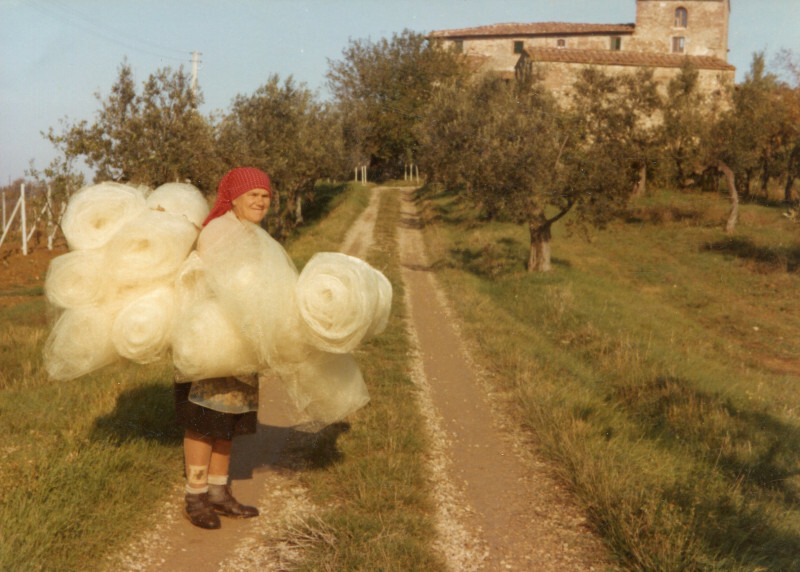 Beyond the well-known reserve of Tuscans, any rural community is wary of outsiders, in particular those doing the work that they themselves had been doing for as long as their families could remember. 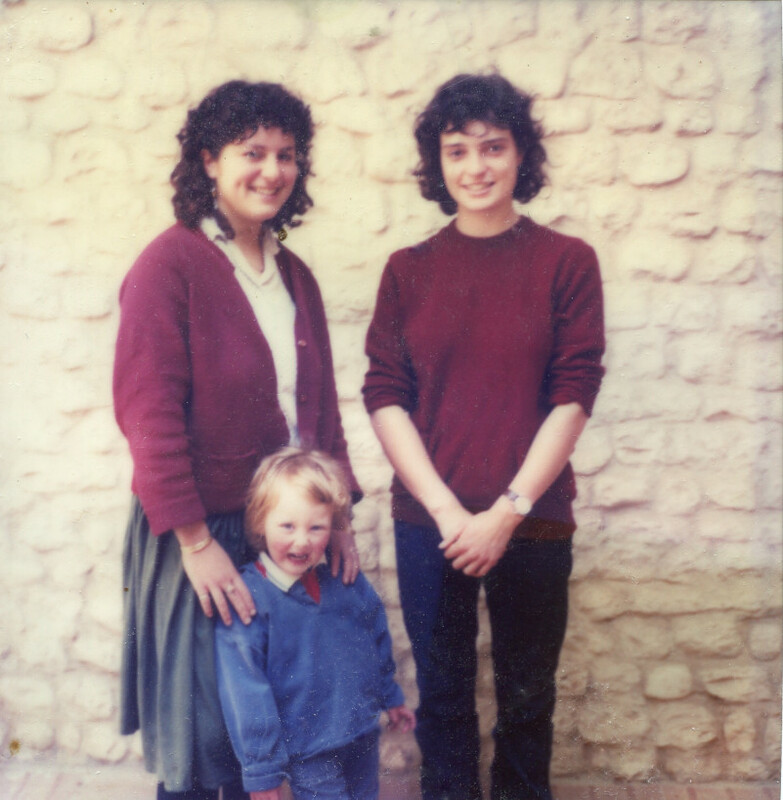 Three daughters were born to us in the Villa Paterno, with attendant ghosts, bringing life and memory back to its long empty rooms. The girls followed their brothers and cousin around the farm, tended the sheep and milked. Like their brother Till, they were home schooled but they then went abroad to study. 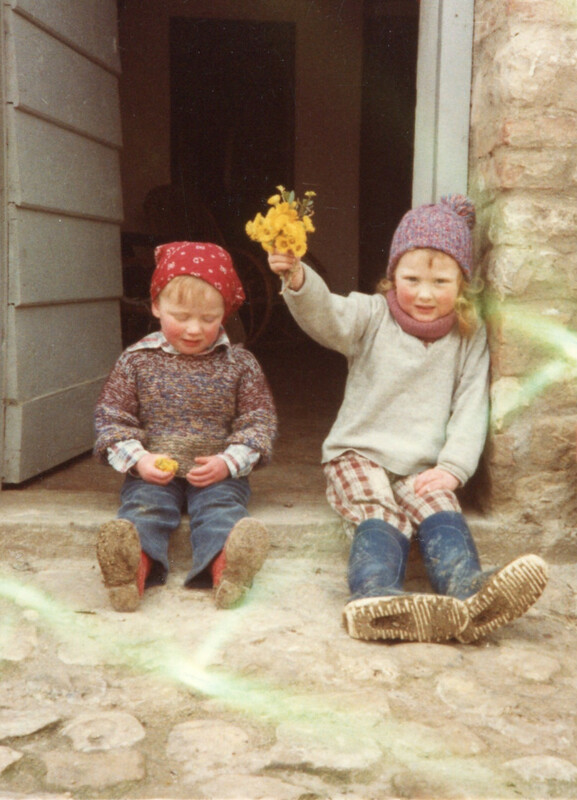 As children they were well known by the local farmers as the little blond shepherdesses who would sit in the fields and mind the sheep for hours with a book and an apple. A neighboring farmer once told us, with great amusement, that he had watched Sibilla minding the sheep and when they did not obey she chastened them as “ignobili bestie” (ignoble beasts). She was six. The farmers here, no matter how simple, are imbued with deep literary sensibility and can usually quote Dante and Boccaccio or recite myriad local proverbs for any occasion. Wendel died in 2001 but the work he has left for us here is both challenging and immensely satisfying. 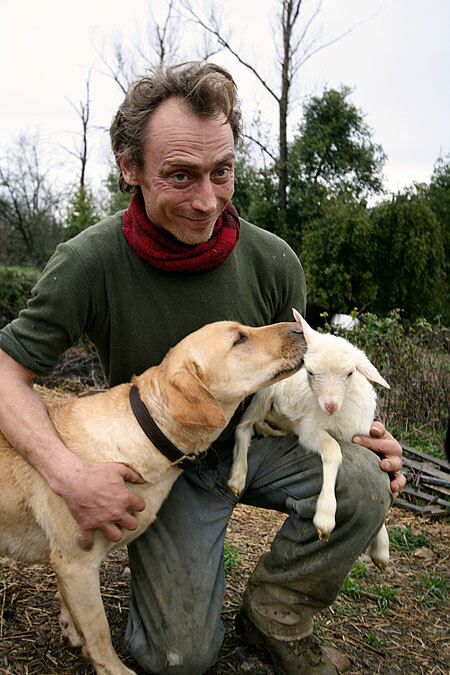 Wenzel now owns his own farm in the vicinity. In Corzano & Paterno the work continues. Tillo and Antonia care for the making and distribution of the cheese. 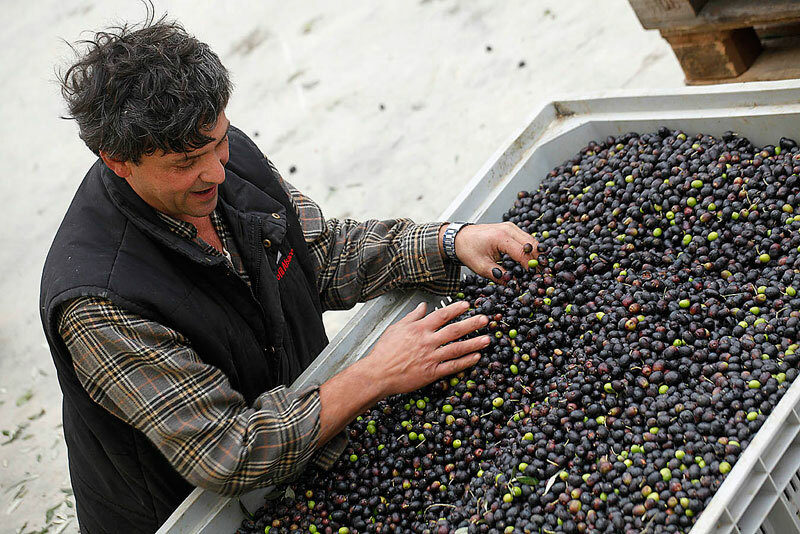 Aljoscha has the function of farm director, agronomist and enologist; he creates the wine. My daughter, Arianna, has taken her degree in Enology and Viticulture at the University of Florence, traveled and worked in vineyards in New Zealand and in Bolgheri and now, infected by Aljoscha’s zeal, has returned to help him in what have become eighteen hectares of vineyard and the construction of a new wine cellar. 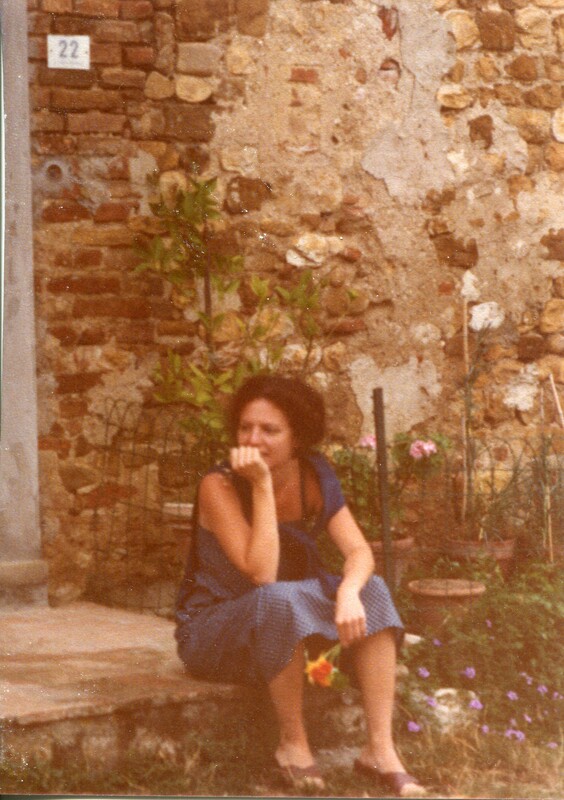 My daughter, Sibilla, after a Degree in Philosophy, studied cooking in Paris, worked at a fine local restaurant ‘Osteria di Passignano’, took an MA in Gastronomy and has worked at the International Press Office of Slow Food. She has recently returned to the farm, her curiosity and palate satisfied, and takes care of hospitality. My function has been to furnish and decorate the houses and apartments, restored by Wendel’s experienced hands, that are let to visitors in our “agriturismo” activity. Wendel always had in mind the search for the essential qualities of the products we elaborate in their sophisticated simplicity. He insisted that self-sufficiency be our goal. Our scope, however, was not to satisfy an already saturated market place but to create the finest end products possible from the raw materials at our disposition. The fact that our cheeses are served in some of the finest restaurants in Europe and that our wine has won international praise is a consequence of the care and attention brought to the origins of our wine, olive oil and cheeses. 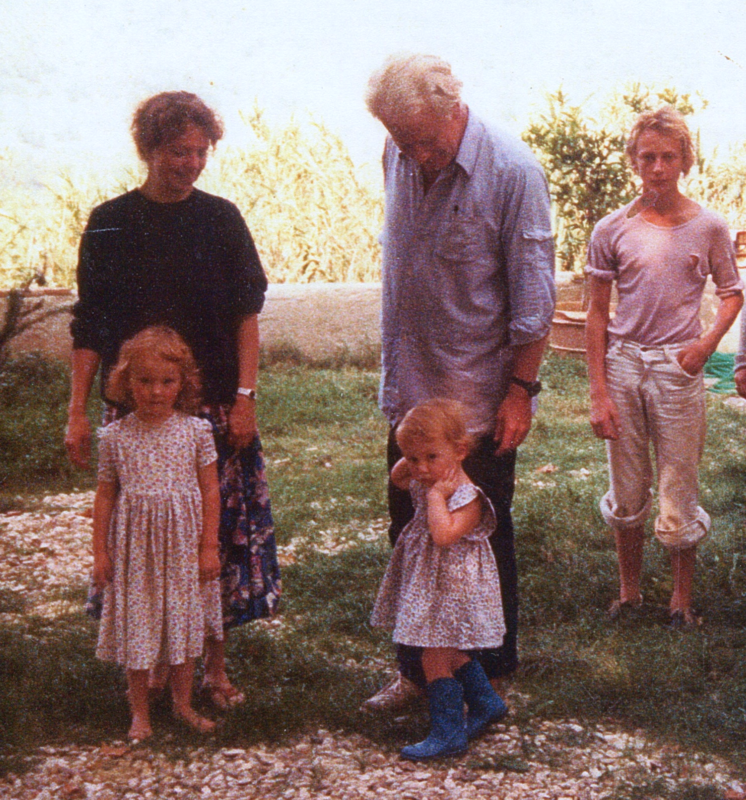 The farm remains a family business. Wendel left it to us with the same spirit that it was given to him: the promise that it will not be divided and will remain the basis of our life and work as an extended family. I am astonished, now, to remember what I found here twenty-five years ago: Wendel's image of a landscape deeply wounded and in need of encouragement to help it to give back what it so richly now does in wine and olive eoil and grazing land and heartbreaking beauty. La Terra Ingrata, the ungrateful earth he called it, quoting the old farmers, but it has been good to us, or better said, I think we have been good for each other. The farm Corzano e Paterno SS Agricola owned and operated by Susan Gepke-Doran, Tillo, Sibilla, Arianna, Aglaia Gelpke and Aljoscha Goldschmidt. 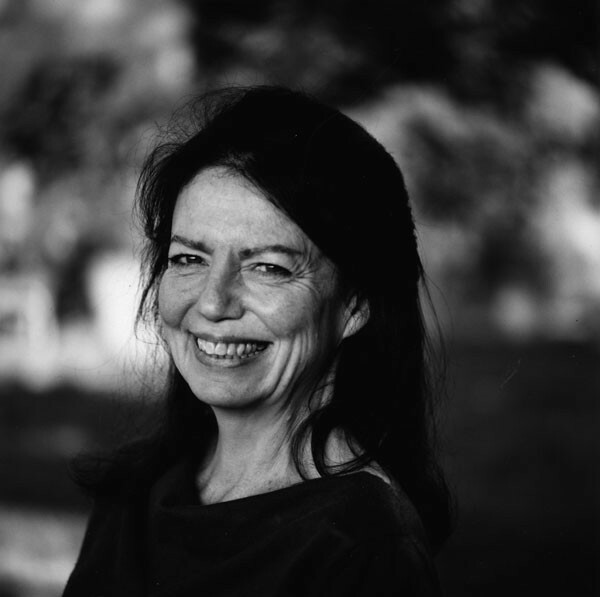 Wendel Gelpke (1932-2001) born near Basel, Switzerland; Susan Gelpke-Doran, born near Boston 1949, their daughters Sibilla, born 1979, Arianna born 1980 and Aglaia born 1986. 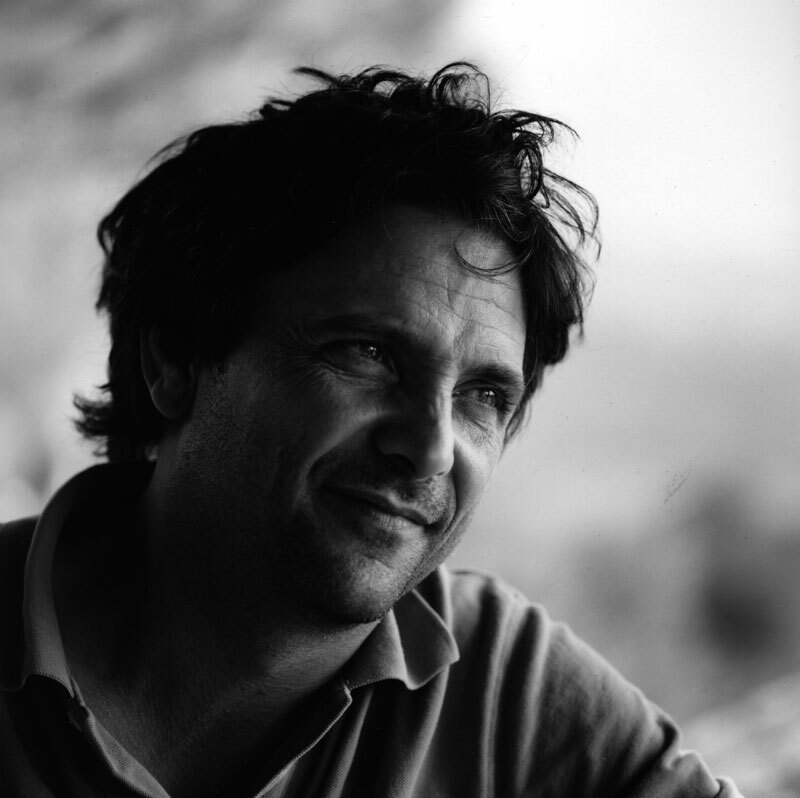 Tillo Gelpke born in Zurich 1967 and brought up in Italy, his wife Barbara born in Naples and daughters Tosca, born 2002 and Nada, born in 2003. Wendel has two other children, Sascha, musician and Nikolas, marine biologist and editor, who are not involved with the farm. 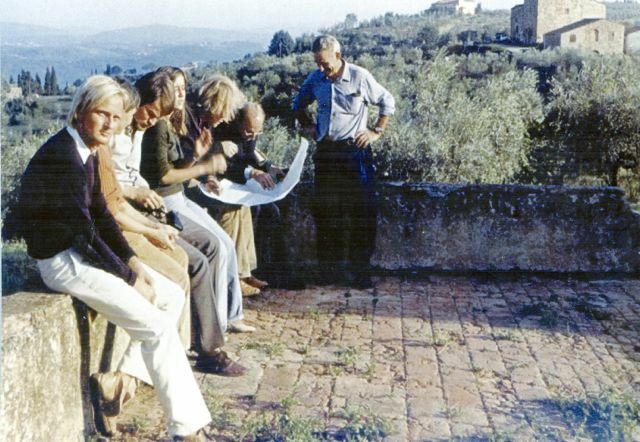 On an adjacent property once belonging to Fattoria Corzano, live Aljoscha's brother Pascal, lute maker and farmer with his New Zealand wife Kirsten, painter and their daughter Anna and sons Oliver and Rudi. Pascal helps with the bookings for the Agriturismo. Wenzel owns a nearly farm, “Pallerino” and has three children, Julia 1985, Jesse 1988 and Dylan, 1996. 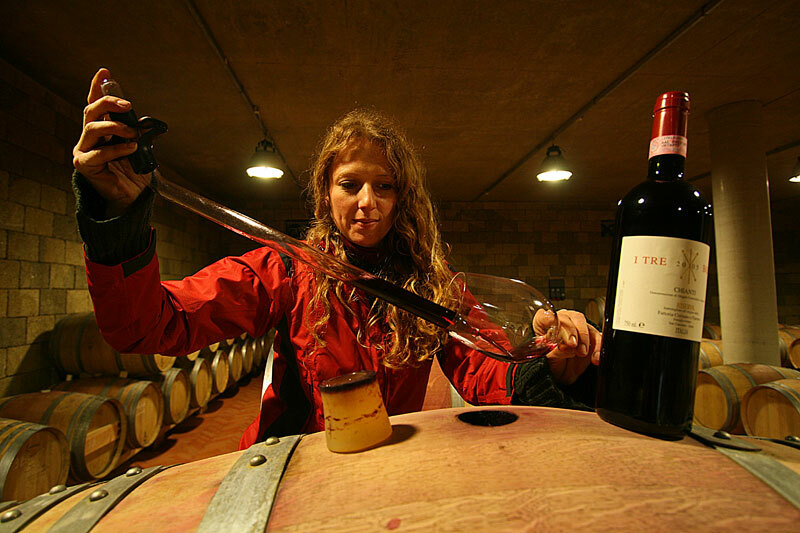 Agriturismo: An initiative brought forward at the commune of Greve in the 1980's for the Chianti area. It helped the local farmers save the neglected buildings on their properties from decay by allowing then special financial conditions and permits to renovate. These spaces were then rented to tourists. This provides extra income for the farmers and helped to lessen the scarcity of accommodations for tourists in the Chianti area that has witnessed such an enormous rise in interest over the last two decades. At the moment Corzano & Paterno offer two large farmhouses sleeping approximately ten persons each, and various apartments for two to six person. There are also swimming pools on the property integrated into the landscape, we hope, in the best possible way.